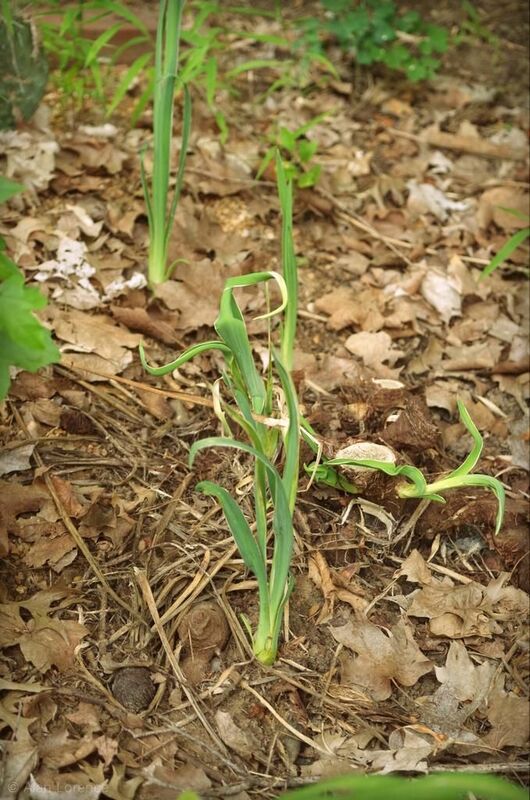 It's Not Work, It's Gardening! 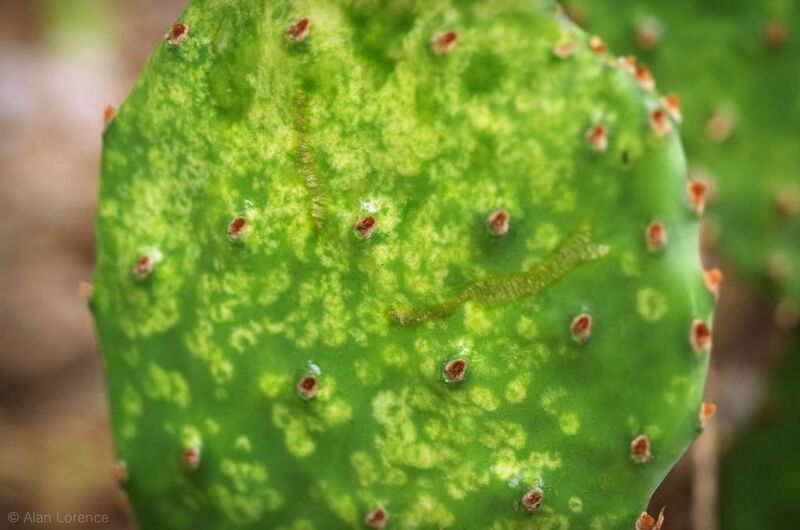 : Opuntia attack! The opuntia bugs are clearly not the same as the yucca bugs, and I didn't notice them last year. In any case I sprayed them with a mixture of soap, alcohol, and peroxide, and that seemed to do the trick -- got rid of 95% of them at least. Another spraying is needed. 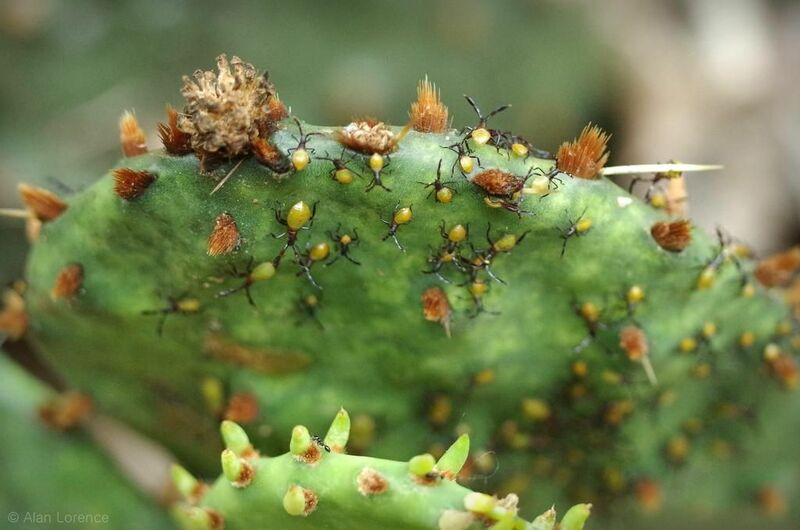 I've never heard of Opuntia pests before but I suppose they are bound to exist. I thought at first the opuntia got you with some glochids. GLOCHIDS ARE MY NEMESIS! haha! I try SO HARD to avoid the opuntia bed, but invariably I'll find myself with six or ten in my hands. GAH! Those are cute little bugs... but hungry! 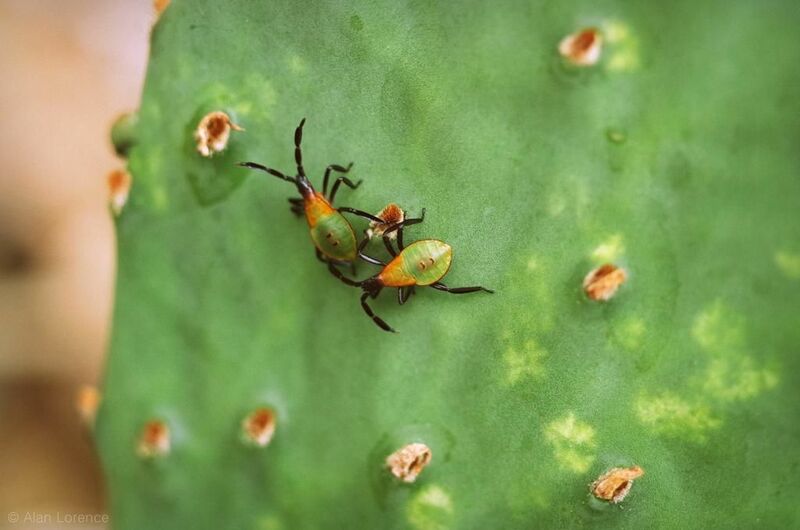 A quick Google search reveals that these may be Chelinidea vittiger, the cactus coreid or opuntia bug. Very specialized little critters, it seems! Is that mixture you used a homemade insecticidal soap and if so is it 1/3,1/3,1/3? I have NEVER seen bugs like that. 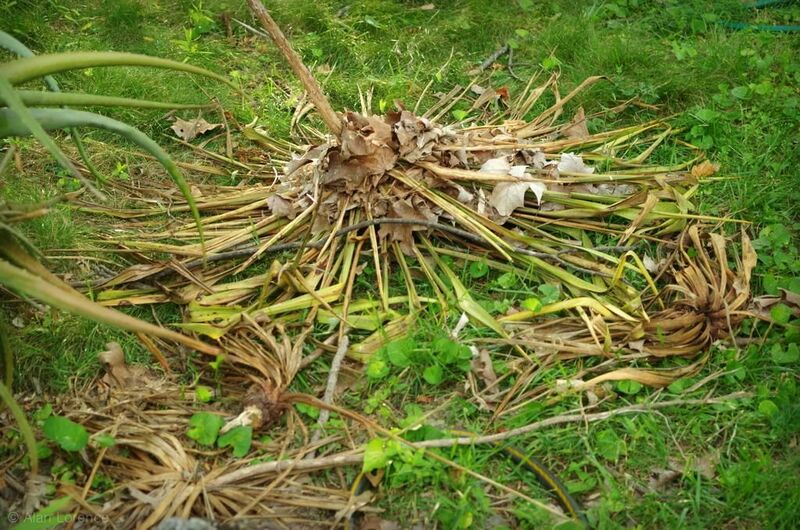 Please let us know if you figure out what they are. They sure have disfigured your opuntia. Lisa: You found it: Chelinidea vittiger aequoris they are (Google "opuntia bug"). I saw an adult today, so definite on the ID. Thanks! Jim: Approximately. I'd normally just use insecticidal soap (or any natural soap like Murphy's oil soap) but I know that alcohol is effective on some succulent pests (according to Gerhard) so I reached for this. It's actually a homemade daily shower cleaner spray that I was trying (not happy with in that capacity, but worked great here). 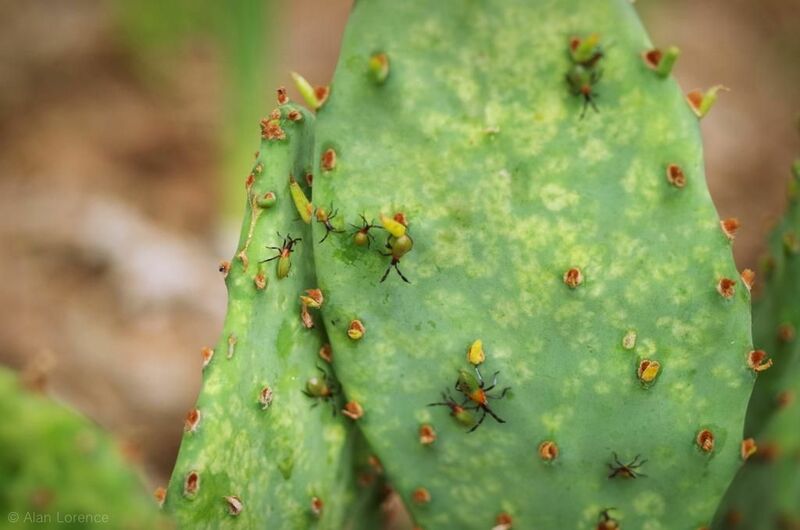 Opuntia bugs!? Yikes. Keep them away from my garden. 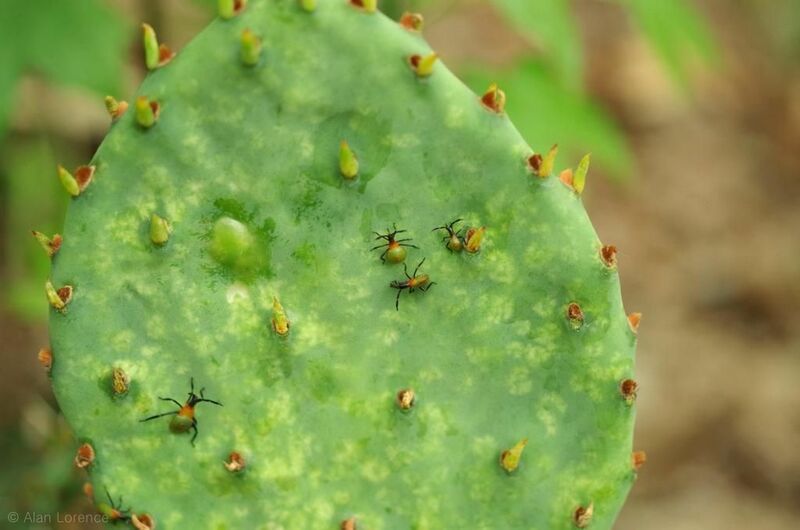 Bugs on Opuntia? (besides cochineal scale). Huh. How about that? "introduced to Australia to combat the invasive prickly pear cacti (proven ineffective)"
One I saw a bunch of nymphs on a rose, and squished most of them--then found out it was some sort of very aggressive predator to all sorts of bad bugs, and not vegetarian in the least. Now I try to check before squishing. Obviously though the damage on the pads meant they were the bad guys.